Bethany’s List of Trails to 500 Miles! The San Francisco Bay Area is an awesome place to explore. We are doing our best to take advantage of our stay! 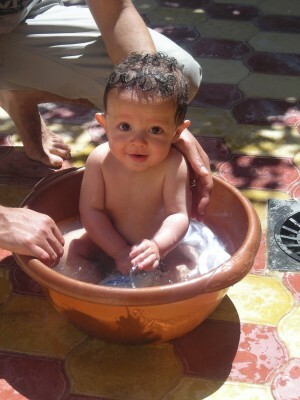 Bpoo's cousin, Adam, having a bath at his "Gaga's" house. Like Father Jogger on Facebook! I am neither a pediatrician, English professor, psychiatrist, nor a personal trainer. Please follow any advice on this site at your own risk!